Silence has been Paramount’s MO for much of their haphazard wrangling over Swanscombe Peninsular but the machine blinked into life this week with a press release detailing some changes in leadership at the top. Meanwhile, a local councillor has claimed that “good things come to those who wait” in response to the news. We hope good things are coming too – a convincing plan that recognises and safeguards the peninsular’s immense environmental value would be a start. On Friday 3rd June, London Paramount finally emerged from the shadows with a long-awaited statement with which it purports to give an overview of the ‘timeline’ for the development of the Swanscombe peninsular – a large expanse of wildlife-rich open space in North Kent. The statement seems rather fast and loose with the term ‘timeline’ as many would understand it. In fact the only date mentioned is 2017 – when they intend to submit the Planning Application. This is old news, like the old planning application deadline or the one before the that. But what is new is another round of ‘public consultation on the updated information’. This timeline doesn’t have a date but look out for that. It is good to read that LRCH (developer) have completed a further year of environmental studies as well as looking at transport issues, we feel with very good reason and hope the results will be shared at some point. Anyone who lives locally will know that many of the areas key road links are already heavily congested with air quality suffering as a result, and that both construction traffic and visitor traffic on the levels predicted will make this unfathomably worse. The result of this, along with consultation feedback, is that changes have been made to the masterplan, but what these are, we will have to wait and see. How different will it look to the original? Consultation dates will be posted here when they are published. Having expected to see the plans this summer, we will now have to wait for the second quarter of next year. Thank you to Ian at London Sound Survey for his deft ear and interest in our campaign. Check out the website here, it’s a veritable treasure trove of audio oddities from London through the ages – fleeting and priceless. 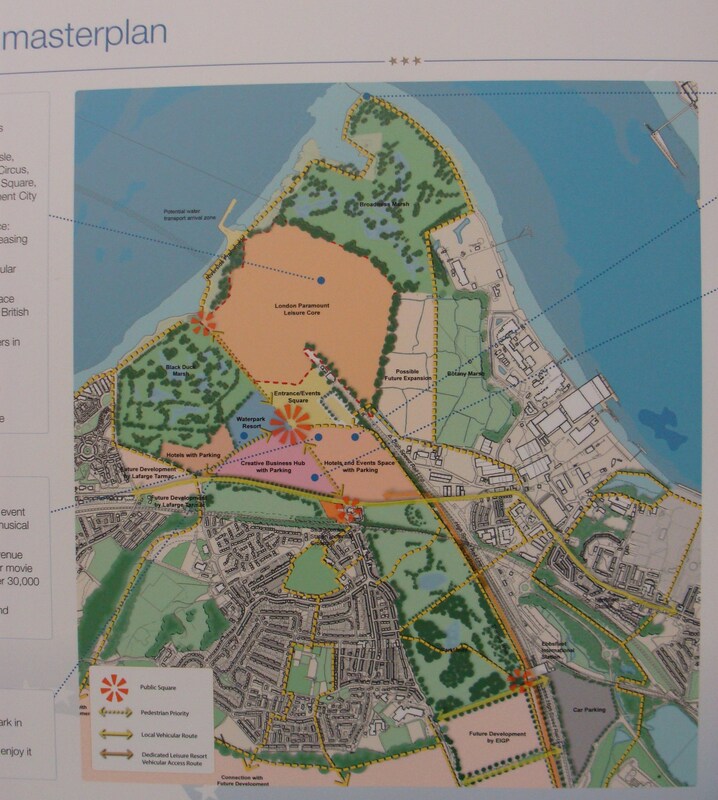 The planning application for the proposed London Paramount development of Swanscombe Marshes and Peninsula has been delayed until ‘mid-2016’ reports local media. This is not the first delay in the process. 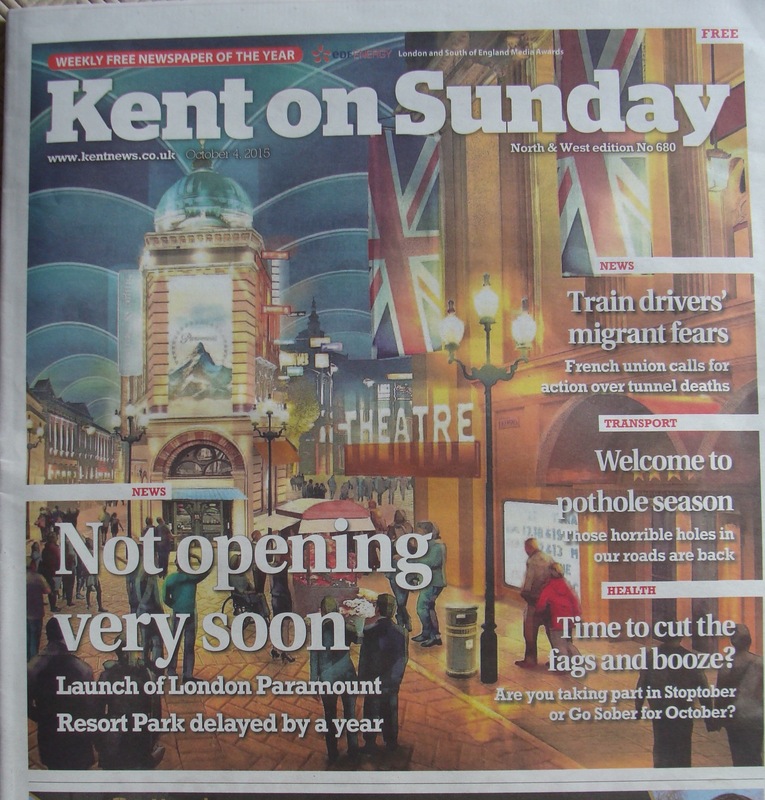 Read the KentOnline article here. The unconvincing delay is due to the need to “carry out further environmental and transport studies” according to David Testa, London Paramount Chief Executive in the article. It highlights the concerns of local residents of the impact on the environment – including Swanscombe Marshes. Local businesses have also now joined forces to take the fight to London Paramount and make sure their concerns are heard. Visit the Peninsula Management Group website for more information. On 22nd October 2015 it was reported that a chinese investor has pledged £100million to the project. London Paramount have been quick to praise this development although when you note the obscene cost of this project stands at over three billion pounds, it appears they have someway to go. 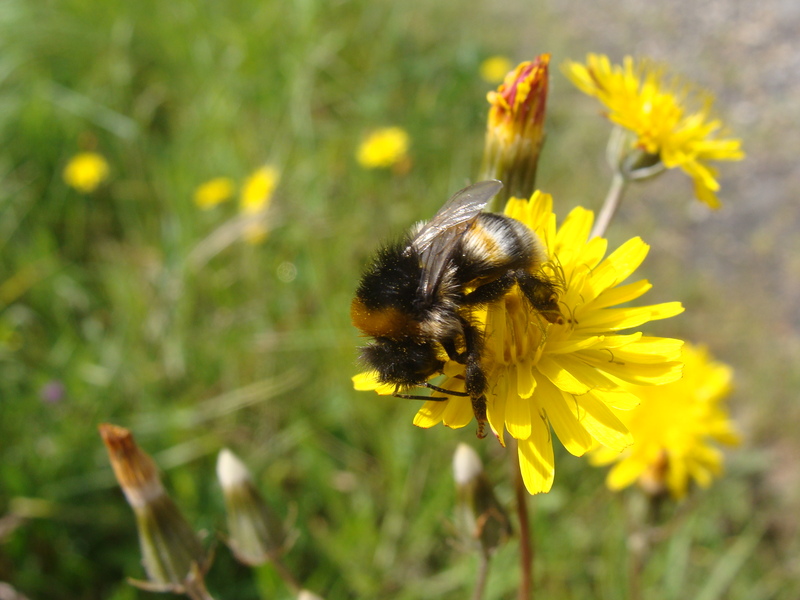 Save Swanscombe Marshes is pleased that the delay will mean another season for the site’s abundant wildlife to thrive and that further time is being taken to consider this project’s devastating environmental impacts. But we remain committed in our opposition to the development and will continue to share Swanscombe Marshes’ importance to wildlife and people – please sign our petition here! 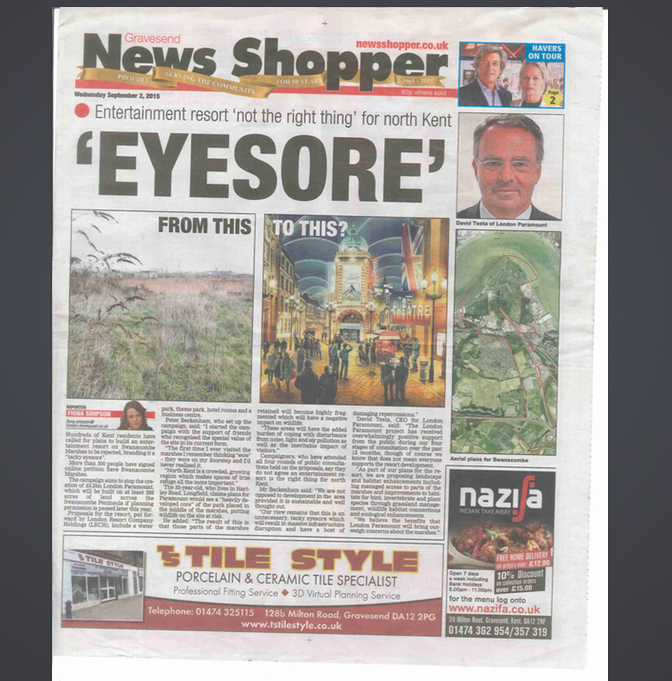 Residents campaign against ‘tacky eyesore’ London Paramount planned for Swanscombe PeninsulaWednesday 29th July: Petition Launched! In the article we have highlighted our stance on the proposal and our strong environmental concerns over the impact it would have. The article also references our petition which we are pleased to announce now has over 350 signatories! The article is illustrated with a map of the site showing the extensive outline planning boundary as well as artistic impressions of how the park might look – both elements we think back up our views. Click here to see more images of the site. Paramount CEO David Testa has responded in the article with a comment describing the three principal marshes as “of different quality”, highlighting the ‘landscape and habitat enhancements’ which would be included if the development were to go ahead. There is a reference to ‘managed access’ which is interesting. While we have no doubt that some areas would benefit from a conservation management plan, a glaring point remains – a vast amount of land would be lost to this development and not replaced. ‘Quality’ is an arguable term in a brownfield context and not necessarily what makes a diverse site like this so special in the first place; nature doesn’t need to be pretty, some times it just works fine given space, freed from disturbance. Check out our photos page and recent wildlife sightings to see some of the reasons why we think Swanscombe marshes is worth saving. Wednesday 29th July 2015: Petition Launched! Today we are pleased to share our new petition ‘SAVE SWANSCOMBE MARSHES – SAY NO TO LONDON PARAMOUNT’! We are calling on the Examining Authority to reject the planning application for ‘London Paramount’ (by London Resort Company Holdings) for this special site. We believe Swanscombe Marshes is too important to lose – as a critical refuge for rare and threatened wildlife and a place for people to enjoy the peace and quiet of this historic landscape. Please sign our petition, share it on social media and tell your friends and family. We will be arranging paper copies of the petition – please contact us if you would like to display it. We are also keen to hear any suggestions for local community groups/organisations that may be interested in hearing from us. Watch this space for updates and feel free to get in touch with any queries. Thursday 16th July 2015: Take A Ride on the Wild Side at Swanscombe Marshes! Whether sunny or cloudy these videos really capture the wonderful sense of space and adventure that the marshes afford, the trees and grasses are gently blowing in the breeze…it’s quiet too. The iconic Swanscombe pylon views are also interesting! Now can you imagine a vast, noisy, sprawling ‘entertainment hub’ in the middle of this? The kind of access and freedom enjoyed here will disappear. We love these videos! Thanks to Pete for letting us share them, you can check out his other videos from the local area on his youtube page. Why not explore the marshes for yourselves – see our map and further access details here! Don’t forget to follow us on twitter to keep up to date with events and news from this special place threatened by London Paramount. The open, roaming access on the site currently enjoyed by walkers, joggers, cyclists, birdwatchers and more will be greatly reduced. David Testa highlights the scale of the immediate loss “as 50 hectares, about 110 acres…in the core resort”. In our increasingly crowded county, 50 hectares is a LOT of green space to lose. With the planning boundary application in excess of 500 hectares (ie not land that will be developed necessarily but that may be affected) it is inevitable that there will be further losses and restrictions. The result will be a crowded, noisy and fragmented landscape dominated by a huge eyesore. Even the government’s own ‘Biodiversity 20/20 Strategy’ cites ‘the health benefits of experiencing nature’ and further research continues to highlight the positive relationship between access to green space and mental health. Swanscombe Marshes is a site full of wildlife, some common species and some rare. These species are present because the site provides them with protection through a mosaic of habitat features that have developed over time; through safe, undisturbed nesting/roosting or hibernating areas as well as food, water and corridors in which they can move or disperse freely. A 50 hectare (+) development in the middle of all this will inevitably have widespread, detrimental impacts. In an age where we are overseeing the widespread decline of wildlife in the UK – the ground-breaking 2013 State of Nature report revealing that 60% of more than 3,100 species have declined in the UK over the past 50 years, with 31% decreasing rapidly – it would be tragic and wrong to deprive future generations of this in North Kent. We are yet to see any convincing answers to mitigating the scale of loss proposed. To suggest that boardwalks or a landscaped park area (among others) are adequate solutions is sadly a gross misunderstanding of the situation. 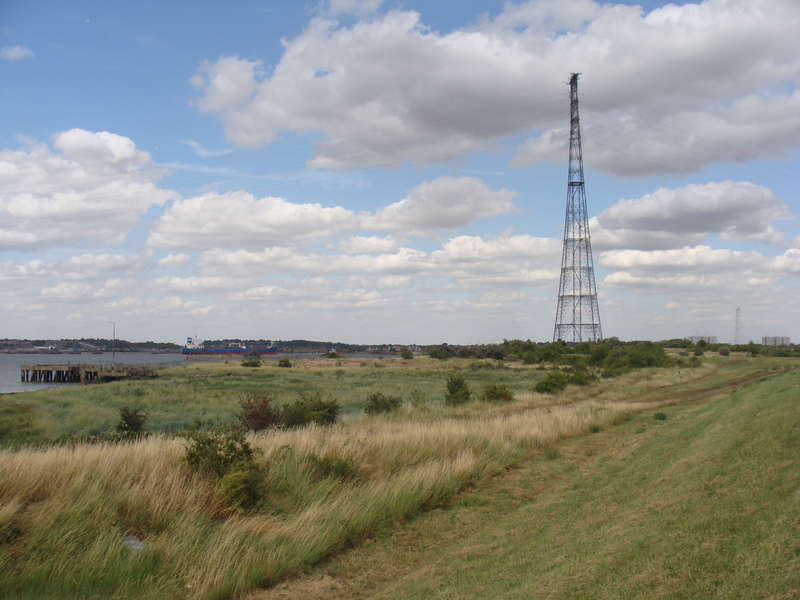 Much of Swanscombe Peninsular is a ‘brownfield’ site as it has experienced previous industrial land uses. But the current trend of manipulating this term to mean areas of little or no value to wildlife (or people) or, as David Testa puts it “not really suited to anything else”, is lazy, tiresome and wholly inaccurate. Undeveloped brownfield sites in England (and especially in the Thames Estuary) comprise some of our most important areas for nature – and Swanscombe is no different. Brownfield it may be, but Swanscombe marshes remains a diverse and vibrant part of north Kent’s countryside. It seems David Testa might be aware of this too as he references the theme park being “dropped into the Kent countryside”. Confusing. No planning application has been submitted yet (due Autumn 2015) and these fanciful ideas of visitor numbers, infrastructure improvements etc remain untested and unproven. Whatever your interest there is something you can do. Follow our website and twitter account for updates, contact us and stay tuned for news in Summer 2015! Swanscombe Marshes should remain a place for wildlife to thrive in and for people to enjoy. The long term value of this site as it stands, far outweighs the short term follies of a frivolous, privately-funded Theme Park in our beautiful Garden of England. On Saturday 2nd May, Bexley RSPB group visited Swanscombe Marshes and sent us this wonderful report from their visit. 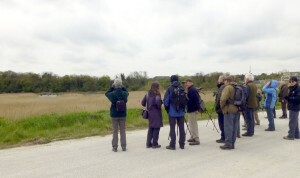 The group saw a great variety of birds including long distance migrants from as far afield as Africa – such as Whimbrel, Swift and Common Tern. A Cuckoo was heard calling, an iconic bird of spring now tragically in decline. Swanscombe remains one of the best spots in North Kent to encounter this amazing species. Resident birds such as Kestrel, Cetti’s Warbler and Linnet were seen across the site along with many others. Thanks to Ralph and Brenda Todd, Andrew Lawson and everyone who came along. We hope to see you back. Check out the excellent Bexley Wildlife website for more local environment news, including events, in the borough. The water in Kent is the worst these things need to be tackled more than anything.